The right to democracy transcends national boundaries. 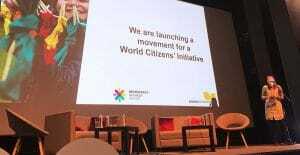 We strive for a democratic world order in which citizens participate beyond national boundaries. Democracy Without Borders supports a holistic approach to democracy promotion that spans from the local to the global levels and at the same time embraces the dimensions of representation, participation, deliberation and co-decision. In our planetary age it’s no longer the nation-states where key decisions are being taken. While advocating ongoing national democratization, we focus on promoting democracy in transnational regional and global institutions. Democracy Without Borders is working with international partners and has associations in Germany, Kenya, Sweden and Switzerland. We hope to expand further to promote our cause more effectively across all world regions. Democracy Without Borders supports global campaigns and programs for a UN Parliamentary Assembly, a UN World Citizens’ Initiative and an Internet Platform for Global Debates, Votes, and Elections. We advocate a United Nations Parliamentary Assembly to strengthen the voice of the world’s citizens. The UN believes that democracy belongs to its universal and indivisible core values and principles. The UN Charter begins on the promising opening words: “We the peoples.” However, one will seek in vain for a means by which ordinary people can play a role in the world organization. It is high time that the UN allows citizen-elected representatives to participate in its deliberations. Initially, states could choose whether their UNPA members would come from national (or regional) parliaments or whether they would be directly elected. 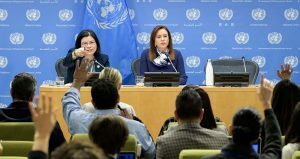 Starting as a largely consultative body, the rights and powers of the UNPA could be expanded over time as its democratic character increases. In the long run, the assembly could develop into a real world parliament. 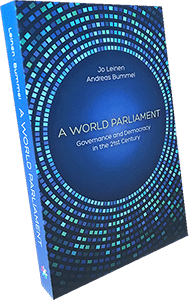 Democracy Without Borders coordinates the global Campaign for a UN Parliamentary Assembly that was launched in 2007. The campaign is supported by various civil society organizations as well as by individuals from 150 countries, among them nearly 1,500 current and former members of parliament and numerous distinguished personalities from all walks of life. 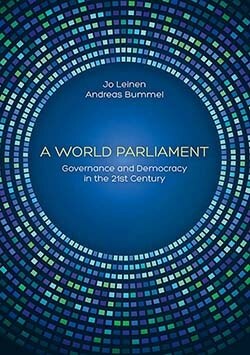 The new book on global democracy by Jo Leinen and Andreas Bummel. 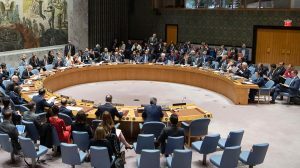 A United Nations summit in 2020: Landing pad or launch pad?